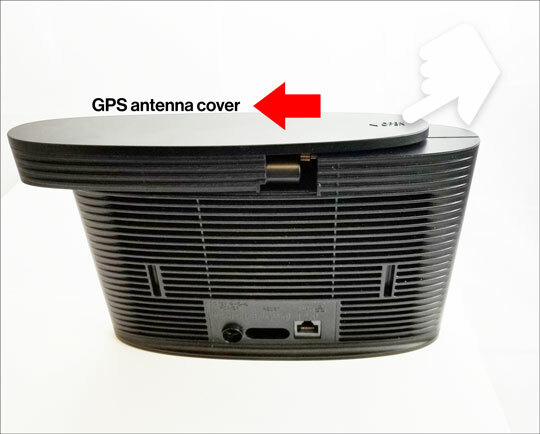 Access the Network Extender admin to verify status of the GPS acquisition (see Related Topics). 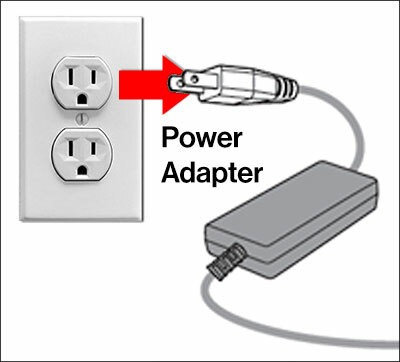 Ensure the Network Extender is powered off by disconnecting the power adapter from the outlet. From the top edge, press open then remove the GPS antenna cover. Press down then detach the GPS Antenna. 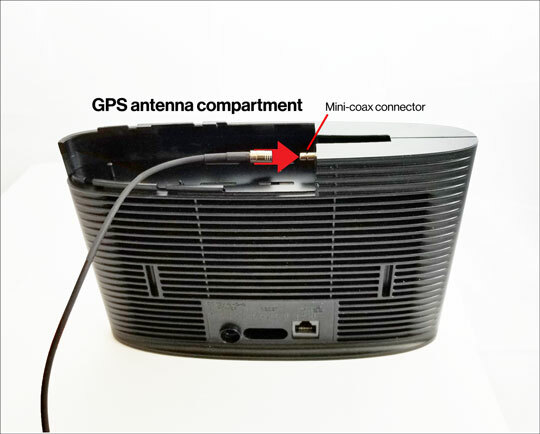 Remove the GPS antenna then connect it to the appropriate end of the GPS antenna cable (mini-coax). 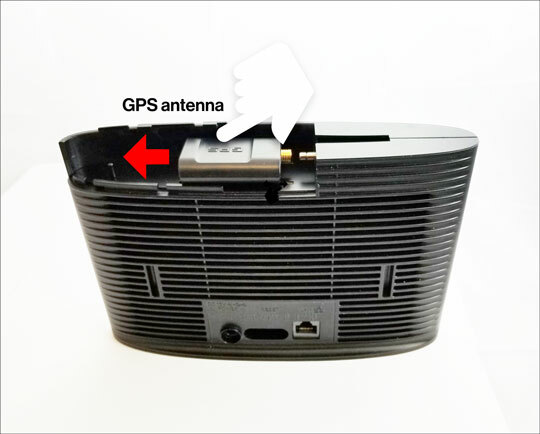 Connect the GPS antenna cable to the GPS antenna cable connector. 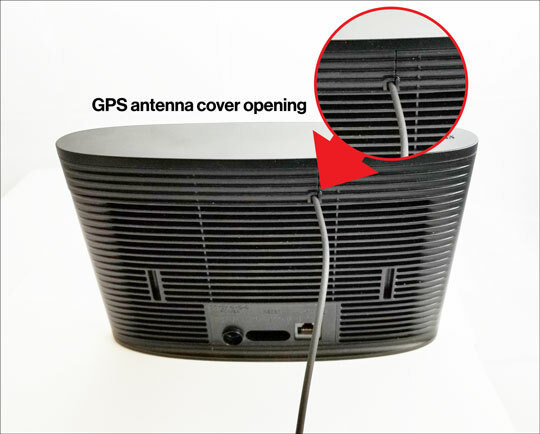 Replace the GPS antenna cover while the cable is threaded through the opening.